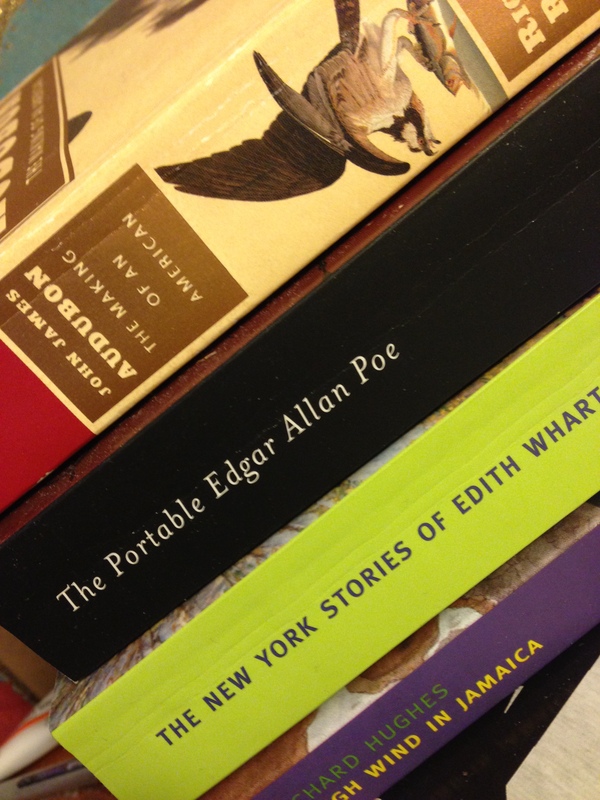 How many books do you have stacked on your nightstand? Or piled on the bedroom floor, or scattered across the coverlet? Does your coffee table hold bound books or yesterday’s papers or riffled copies of Vanity Fair? Do you tuck a paperback into your bag when you go to wait in the doctor’s office, or do you slip in your IPad? When you go out to power walk, are you also power listening to a wonderful story? If you absorbed a book in some form you are in the majority – so did 76 percent of American adults last year. That surprises me, actually. Fully 24 percent of us read no book at all? Who are those people? I guess the ones poring over Vanity Fair. The new Pew Study that identified the 76 percent also found that the “typical American adult” read or listened to five books in a year’s time and that the average for all adults was 12 books. Not bad. A figure that hasn’t changed recently. Something that will gratify both the hearts of Luddites and of independent book store sellers is that print is still the medium of choice. Even people who read e-books (28 percent) also often read the paper variety. Just four percent of readers confessed themselves to be exclusively e-book. I like my several-years-old Kindle, now slightly weather-battered. I like that I’m carrying around a library of 100 volumes and can dip into any of them at will, at any time. I love that I can send an electronic file of a book I’m working on to my Kindle and read it in one hand, rather than printing out clumsy manuscript pages. Or having ready access to the draft of her novel a friend wants me to read. So easy. The prose sings with the Kindle’s light behind it. And I love ordering stuff to read on it with just a click and feel cool that I can do so on a whim. 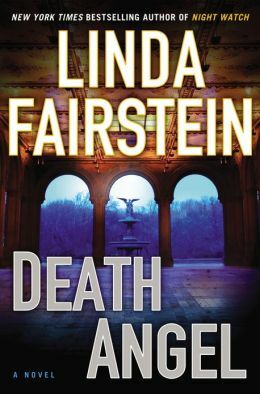 Sometimes I get junk food, like the Central Park murder mystery Death Angel by Linda Fairstein. It’s like a box of New York chocolates I might not pick up in a store. 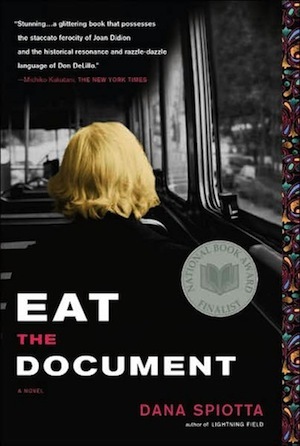 If someone at a dinner or over coffee mentions a more obscure or older title, say The Alligators of Abraham, by Robert Kloss, or The Dinner, a novel by Herman Koch, or Eat the Document by Dana Spiotta, I’m off and running. These are works I wouldn’t necessarily find browsing at my local shop, The Village Bookstore in Pleasantville, New York. Though I know they would always be helpful about ordering them. More lucrative for the proprietors that I go in and order stacks of new hardcovers. Which I have been known to do. 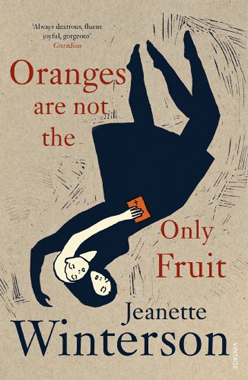 An example of a lesser-known item in my digital library: Jeanette Winterson’s Oranges Are Not the Only Fruit. People had been mentioning this book to me for a long time and it won all kinds of prizes when it came out in 1985. Like most people I lived for a long time with my mother and father. My father liked to watch the wrestling, my mother liked to wrestle; it didn’t matter what. She was in the white corner and that was that. White corner?Alright, I’m in. And Winterson goes on, portraying a world I have never imagined that that if it wasn’t for an electronic device I would never experience. But then sometimes I dip into a book I’ve downloaded to my device and say, Why? What in a million years possessed me to gather this title into my library? The novel I’m trying to read is kind of hiding within the cold glass front of this machine and therefore I can’t access it mentally. A book like Cloud Atlas by David Mitchell (I know, everyone loves this one) begs to have its secrets revealed in a stack of actual pages. Not being able to touch paper numbed me to its charms. Real books, I find, tomes of paper and ink, with beautifully designed jackets or with soft covers whose spine you feel okay about breaking when you plow through with vehemence – real books tend to hold my interest much more. And I find that when I’m reading a book on my Kindle that I really like, my strong impulse is to rush out to a store and buy a print copy. The phenomenal Book of Ages: The Life and Opinions of Jane Franklin, say, by Jill Lepore. 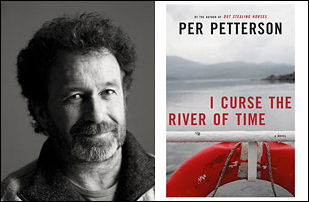 Or Per Petterson’s pitch-perfect I Curse the River of Time. The whole time I was reading I wished I held paper. Or The Glass Castle by Jeanette Walls. I want to hold the book in my hands, flip the pages back and forth, cradle it on my chest when I read it in bed. I read in bed a lot and I bet if Pew studied the phenomenon they would find that of the 76 percent of Americans who read any kind of books in the past year, 75 percent of them did so comfily and cozily in their beds. That’s great, I’ll have to try it. I might end up reading some chapters twice — but then, I do that anyway. Too busy watching reality tv.